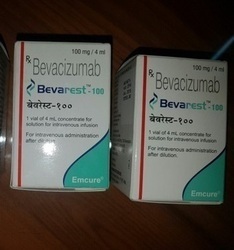 Pioneers in the industry, we offer bdenza, tykerb 250mg, bortenat 3.5mg injection, tacrograf medicines, tacrograf 1mg and cytodrox capsules from India. 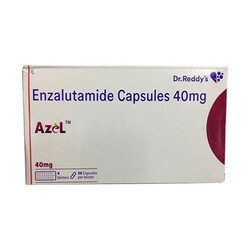 Enzalutamide is used to treat prostate cancer that has spread to other parts of the body in men who have not been helped by other medical and surgical treatments including docetaxel (Docefrez, Taxotere). 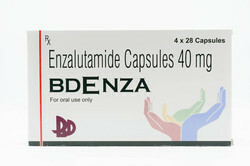 Enzalutamide is in a class of medications called androgen receptor inhibitors. It works by blocking the effects of androgen (a male reproductive hormone) to stop the growth and spread of cancer cells. Hot flashes, headache, dizziness, If any of these effects persist or worsen, tell your doctor or pharmacist promptly. Tykerb 250mg Tablet is used in the treatment of breast cancer. It works by slowing or stopping the growth of cancer cells. It is the first therapeutic proteasome inhibitor to be tested in humans. Proteasomes are cellular complexes that break down proteins. In some cancers, the proteins that normally kill cancer cells are broken down too quickly. 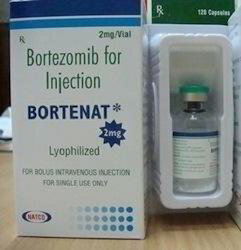 Bortezomib interrupts this process and lets those proteins kill the cancer cells. It is approved in the U.S. for treating relapsed multiple myeloma and mantle cell lymphoma. In multiple myeloma, complete clinical responses have been obtained in patients with otherwise refractory or rapidly advancing disease. The boron atom in bortezomib binds the catalytic site of the 26S proteasome] with high affinity and specificity. In normal cells, the proteasome regulates protein expression and function by degradation of ubiquitylated proteins, and also cleanses the cell of abnormal or misfolded proteins. Clinical and preclinical data support a role in maintaining the immortal phenotype of myeloma cells, and cell-culture and xenograft data support a similar function in solid tumor cancers. 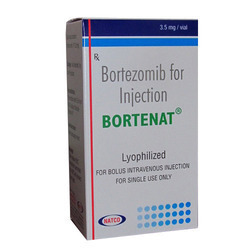 Use bortezomib as directed by your doctor. Check the label on the medicine for exact dosing instructions. · Drinking extra fluids while you are taking bortezomib is recommended. Check with your doctor for instructions. 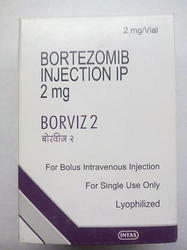 · Bortezomib is given as an injection into a vein or under the skin at your doctor's office, hospital, or clinic. 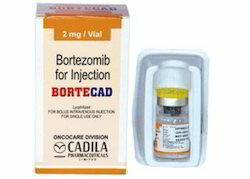 Bortezomib is not intended to be injected into the spinal cord. Contact your health care provider if you have any questions. · It is very important that each dose is given at the scheduled time. If you miss a dose of bortezomib, contact your doctor right away to establish a new dosing schedule. Do not use 2 doses at once. Ask your health care provider any questions you may have about how to use bortezomib. Constipation; diarrhea; dizziness; headache; loss of appetite; mild stomach pain; nausea; stomach upset; taste changes; tiredness; trouble sleeping; vomiting; weakness. · Bortezomib may cause dizziness, fatigue, fainting, or vision changes. These effects may be worse if you take it with alcohol or certain medicines. Use bortezomib with caution. Do not drive or perform other possibly unsafe tasks until you know how you react to it. · Bortezomib may cause dizziness, light-headedness, or fainting; alcohol, hot weather, exercise, or fever may increase these effects. To prevent them, sit up or stand slowly, especially in the morning. Sit or lie down at the first sign of any of these effects. Store the medicine in a closed container at room temperature, away from heat, moisture, and direct light. Keep from freezing.Keep out of the reach of children.Do not keep outdated medicine or medicine no longer needed. Indication: indicated for organ transplant rejection prophylaxis. 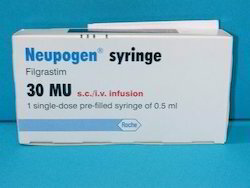 Patients are prescribed this medicine after an organ transplant, so as to help prevent the immune system from attacking the organ and to stop the body rejecting the transplant. Mechanism of action: Tacrolimus is a macrolide calcineurin inhibitor. In T-cells, activation of the T-cell receptor normally increases intracellular calcium, which acts via calmodulin to activate calcineurin. Calcineurin then dephosphorylates the transcription factor nuclear factor of activated T-cells (NF-AT), which moves to the nucleus of the T-cell and increases the activity of genes coding for IL-2 and related cytokines. Tacrolimus prevents the dephosphorylation of NF-AT. In detail, Tacrolimus reduces peptidyl-prolyl isomerase activity by binding to the immunophilin FKBP12 (FK506 binding protein) creating a new complex. This FKBP12-FK506 complex interacts with and inhibits calcineurin, thus inhibiting both T-lymphocyte signal transduction and IL-2 transcription. Although this activity is similar to that of ciclosporin, the incidence of acute rejection is reduced by tacrolimus use over ciclosporin. Although short-term immunosuppression concerning patient and graft survival is found to be similar between the two drugs, tacrolimus results in a more favorable lipid profile, and this may have important long-term implications given the prognostic influence of rejection on graft survival. Dosage and Administration: Oral tacrolimus is taken twice daily. Starting doses range between 0.075 mg/kg/day to 0.2 mg/kg/day. Doses vary widely and are based on tests that measure the amount of tacrolimus in the blood. Taking tacrolimus with food can reduce some of the abdominal pain that can occur with this medicine; however, food can reduce the amount of tacrolimus that is absorbed. This is especially true with fatty foods. Capsules should be taken consistently with or without food in order to avoid major swings in blood levels. Grapefruit juice increases blood levels of tacrolimus and should be avoided. The injection is only used for patients who cannot tolerate tacrolimus capsules. · baldness,anemia,loss of appetite,diarrhea,high concentrations of potassium in the blood,high blood pressure, nausea, vomiting, ,tingling sensation in the extremities, itching, tremor, fever, headache, rash, high blood sugar concentrations, and, abdominal pain. An overdose Tacrolimus Unlikely to threaten life, call an emergency room or a poison control center for advice if you suspect that a very large dose of Tacrolimus has been ingested. There are no restrictions on food, beverages, or activities while taking Tacrolimus otherwise directed by your physician. 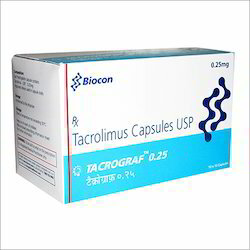 Store: Tacrolimus is usually handled and stored by a health care provider. If you are using tacrolimus at home, store tacrolimus as directed by your pharmacist or health care provider. Keep tacrolimus out of the reach of children and away from pets. Indication indicated for organ transplant rejection prophylaxis. 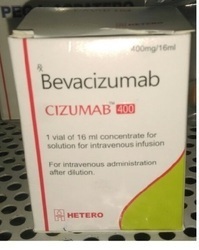 Patients are prescribed this medicine after an organ transplant, so as to help prevent the immune system from attacking the organ and to stop the body rejecting the transplant. ¿¿ baldness,anemia,loss of appetite,diarrhea,high concentrations of potassium in the blood,high blood pressure, nausea, vomiting, ,tingling sensation in the extremities, itching, tremor, fever, headache, rash, high blood sugar concentrations, and, abdominal pain. 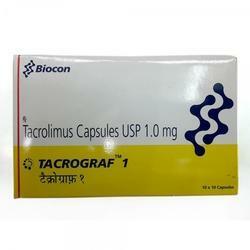 Store Tacrolimus is usually handled and stored by a health care provider. If you are using tacrolimus at home, store tacrolimus as directed by your pharmacist or health care provider. Keep tacrolimus out of the reach of children and away from pets. We have carved a niche amongst the most trusted names in this business, engaged in offering comprehensive range of Cytodrox Capsule. Ruxolitinib is a Janus kinase inhibitor with selectivity for subtypes JAK1 and JAK2 of this enzyme. Ruxolitinib inhibits dysregulated JAK signaling associated with myelofibrosis. JAK1 and JAK2 recruit signal transducers and activators of transcription (STATs) to cytokine receptors leading to modulation of gene expression. 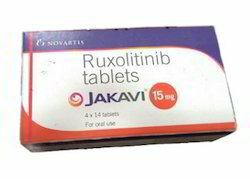 Ruxolitinib is a pill, taken by mouth, with or without food. Take ruxolitinib exactly as prescribed, even if you are feeling better. Swallow ruxolitinib tablets whole. Do not chew, crush or break. Ruxolitinibmay interact with many types of medications . Before starting ruxolitinib treatment, make sure you tell your doctor about any other medications you are taking (including prescription, over-the-counter, vitamins, herbal remedies, etc.). 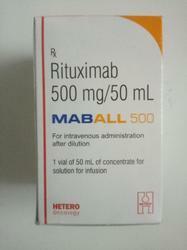 Store: Store Ruxolitinib at room temperature, between 59 and 86 degrees F (15 and 30 degrees C). Store away from heat, moisture, and light. Do not store in the bathroom. Keep abiraterone acetate out of the reach of children and away from pets. 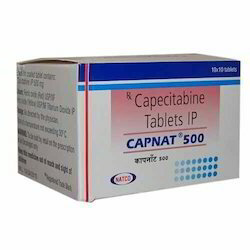 Capnat Medicines is a Janus kinase inhibitor with selectivity for subtypes JAK1 and JAK2 of this enzyme. Ruxolitinib inhibits dysregulated JAK signaling associated with myelofibrosis. JAK1 and JAK2 recruit signal transducers and activators of transcription (STATs) to cytokine receptors leading to modulation of gene expression. 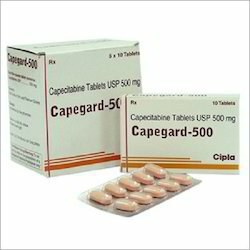 Capnat Medicines is a pill, taken by mouth, with or without food. Take ruxolitinib exactly as prescribed, even if you are feeling better. Swallow ruxolitinib tablets whole. Do not chew, crush or break. Capnat Medicinesmay interact with many types of medications . Before starting ruxolitinib treatment, make sure you tell your doctor about any other medications you are taking (including prescription, over-the-counter, vitamins, herbal remedies, etc.). 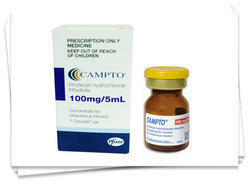 Store: Store Capnat Medicines at room temperature, between 59 and 86 degrees F (15 and 30 degrees C). Store away from heat, moisture, and light. Do not store in the bathroom. Keep abiraterone acetate out of the reach of children and away from pets. 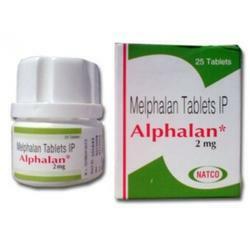 We are operating as the successful supplier and exporter of Alphalan . 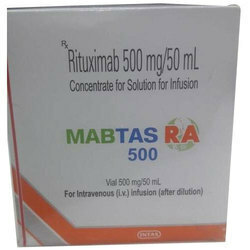 The offered product is effective in treating myelodysplastic syndrome. This drug has been made from high quality of material and is pure in composition. It is administered intravenously for fast recovery. Our product range is in compliance with the pharmaceutical standards. Treating non-small cell lung cancer after other cancer chemotherapy treatments have not been successful. It may also be used for other conditions as determined by your doctor. Geftinat (Gefitinib ) is a cancer chemotherapy agent. It works by blocking a certain protein (an enzyme called tyrosine kinase). This helps to stop the cancer from growing and spreading. 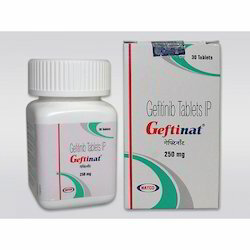 Geftinat (Gefitinib ) is a pill, taken by mouth, once daily. It can be taken with or without food. The amount of Geftinat (Gefitinib ) that you will receive depends on many factors, your general health or other health problems, and the type of cancer or condition being treated. Current recommendation is for one tablet daily, higher doses do not give a better response and may cause increased toxicity. Your doctor will determine your dose and schedule. This medication is used to treat kidney or liver cancer. It may also be used to treat a certain type of thyroid cancer (differentiated thyroid carcinoma). 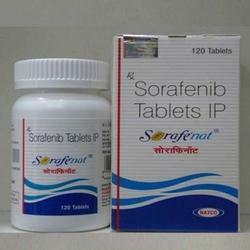 Sorafenat (Sorafenib Tosylate) stops or slows the growth of cancer cells (tumors). It also works by slowing the growth of new blood vessels within the tumor. 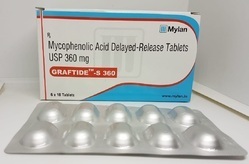 Generic Name ¿¿Mycophenolic Acid Delayed -Release Tablets. It is used to keep the body from harming the organ after an organ transplant. It may be given to you for other reasons. Talk with the doctor. Use this medicine (mycophenolic acid delayed-release tablets) as ordered by your doctor. Read all information given to you. Follow all instructions closely. Do not take¿¿antacids¿¿that have magnesium or aluminum at the same time as this medicine (mycophenolic acid delayed-release tablets). Talk with your doctor or pharmacist. Keep taking this medicine (mycophenolic acid delayed-release tablets) as you have been told by your doctor or other health care provider, even if you feel well. Take this medicine (mycophenolic acid delayed-release tablets) at the same time of day. Do not switch brands or types of this medicine (mycophenolic acid delayed-release tablets) (like tablets, liquid) unless you talk with the doctor. They may not work the same. 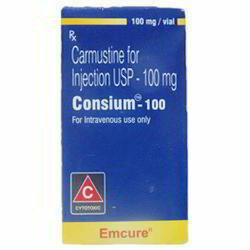 We are operating as the successful supplier and exporter of Consuim Injection. 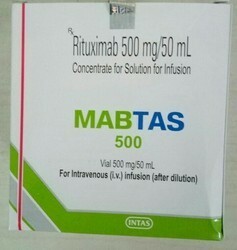 The offered product is effective in treating myelodysplastic syndrome. This drug has been made from high quality of material and is pure in composition. It is administered intravenously for fast recovery. Our product range is in compliance with the pharmaceutical standards. Since our establishment, we are engaged in offering an excellent quality Filgrastim Inj . The offered medicine is used for the treatment of brain tumors. The offered medicine is formulated at our latest processing set up by our skilled professionals with the aid of cutting-edge processing technology using the best grade chemical compounds. Also, we offer this medicine in diverse packaging options. 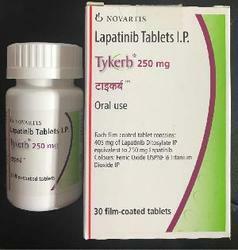 Tasigna (Nilotinib) is used to treat a certain type of blood cancer (chronic myelogenous leukemia-CML). It works by slowing or stopping the growth of cancer cells. Chronic myelogenous leukaemia (CML) is caused by the BCR-ABL oncogene. Tasigna (Nilotinib) inhibits the tyrosine kinase activity of the BCR-ABL protein. Tasigna (Nilotinib) fits into the ATP-binding site of the BCR-ABL protein with higher affinity than imatinib, over-riding resistance caused by mutations. The ability of AMN107 to inhibit TEL-platelet-derived growth factor receptor-beta (TEL-PDGFRbeta), which causes chronic myelomonocytic leukaemia, and FIP1-like-1-PDGFRalpha, which causes hypereosinophilic syndrome, suggests potential use of AMN107 for myeloproliferative diseases characterised by these kinase fusions (Stover et al, 2005; Weisberg et al, 2005). AMN107 also inhibits the c-Kit receptor kinase, including the D816V-mutated variant of KIT, at pharmacologically achievable concentrations, supporting potential utility in the treatment of mastocytosis, and gastrointestinal stromal tumours (Weisberg et al, 2005; von Bubnoff et al, 2005; Gleixner et al, 2006). Tasigna (Nilotinib) is usually taken every 12 hours. Follow the directions on your prescription label. Do not take this medicine in larger or smaller amounts or for longer than recommended. 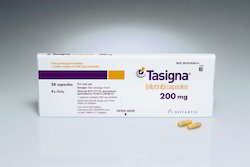 Take Tasigna (Nilotinib) on an empty stomach, at least 1 hour before or 2 hours after a meal. Do not take with food. Food can increase your blood levels of Tasigna (Nilotinib) and may increase your risk of harmful side effects. Avoid eating anything for at least 2 hours before and 1 hour after you take Tasigna (Nilotinib). Before taking Tasigna (Nilotinib), tell your doctor or pharmacist if you are allergic to it; or to lactose/galactose; or if you have any other allergies. This product may contain inactive ingredients, which can cause allergic reactions or other problems. Talk to your pharmacist for more details. Store: Store at room temperature away from moisture and heat. 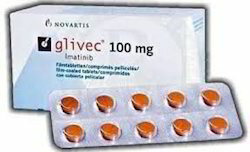 Glivec Tablets offered is available as Glivec 100mg and comes manufactured by Novartis. Indication: Hylan G-F 20 is used for treating pain caused by osteoarthritis of the knee. DOSING&STORAGE: hyland G-F 20 should be stored at room temperature, below 86 F (30 C). Any unused solution should be thrown out. It should not be frozen Hylan G-F 20 is injected into the knee by a health professional. A course of treatment consists of three injections with each injection seven days apart when using Synvisc. Alternatively Synvisc-One, which contains all 3 doses (48 mg/ 6 ml) can be injected once as a single injection. Most people experience the greatest amount of relief from pain 8 to 12 weeks after beginning treatment. Some patients will require more than one course of treatment. Before using trastuzumab, tell your doctor or pharmacist if you are allergic to it; or to other mouse protein medications; or if you have any other allergies. This product may contain inactive ingredients (such as benzyl alcohol), which can cause allergic reactions or other problems. Talk to your pharmacist for more details. See also Warning section. · Cervical cancer that has not gotten better with other treatment, has metastasized (spread to other parts of the body), or has recurred (come back). · Colorectal cancer that has metastasized. · Nonsquamous non-small cell lung cancer that is locally advanced, cannot be removed by surgery, has metastasized, or has recurred. · Ovarian epithelial, fallopian tube, or primary peritoneal cancer. 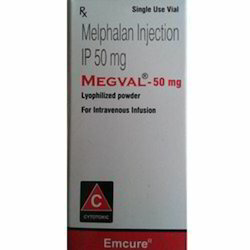 It is used in patients with stage III, stage IV, or recurrent disease. · Renal cell carcinoma (a type of kidney cancer) that has metastasized. 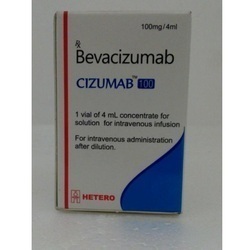 Bevacizumab is given by infusion into a vein by a health care professional. The first dose is usually given over 90 minutes. If you tolerate the first dose well, then later infusions may be given over a shorter time (60 or 30 minutes). Dry mouth, cough, voice changes, loss of appetite, diarrhea, vomiting, constipation, mouthsores, nausea, or headache may occur. If any of these effects persist or worsen, notify your doctor or pharmacist right away. Looking for AntiCancer Medicine ?